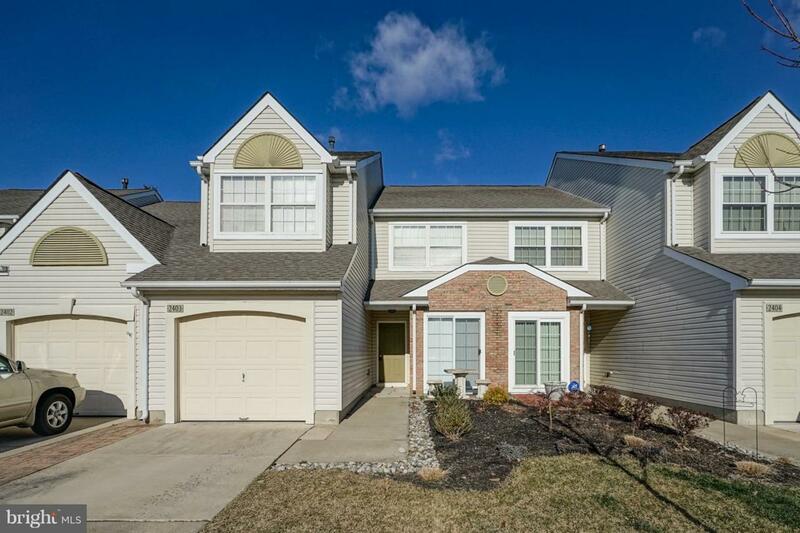 Must check out the 3 bedroom 2.5 bath townhome in desirable Valleybrook Community. Enter the home in your tile foyer. Upgraded Eat-In-kitchen which includes granite counters, Stainless Steel appliances, tile flooring and glass tile back splash with breakfast nook area. Dining room w/cathedral ceilings. Large living room w/crown molding, recessed lighting and sliding glass doors to the back. First floor also has upgraded half bath w/granite vanity top and tile floor, laundry room, and indoor access to your 1 car attached garage. Upstairs is 3 bedrooms 2 full baths. Master suite has large soaking tub and shower stall, dual sinks and a walk in closet. Property includes ceiling fans, six panel doors, freshly painted t/o. Updated hall bath w/tile shower, and new cabinetry. Take advantage of the many amenities the community has to offer such as: golf course, tennis courts, swimming (at a fee of $195) and relax for dinner at Riley Pub. Still time to move in and take advantage of the swim club for your Memorial Day Weekend. Conveniently located to major highways and just minutes away from Philadelphia. Enjoy shopping at the Gloucester Twp. outlets. Property is a short sale but in excellent condition. Being sold AS IS. Make your appt. today.